This is the first in a series of skill share posts that I will call the Printmaking 101 Series. I will be sharing the accumulated knowledge of over 15 years of printmaking through these posts. If you have something to add to the topic, have a question or want to correct something I’ve presented incorrectly, please do so respectfully in the comments below. I will be updating this series at least once a month. Thanks for joining in! One of the questions I get often from self-taught printmakers is the proper way to sign and number an original limited edition print. But what does “print” even mean? I think it’s important to define this before even discussing signing and numbering a work. What do you mean by “print”? Print by definition is a reproduction of an artwork, such as a giclee, sometimes called an archival print or archival ink print, which is a digitally produced print from an original photograph or scan of an original artwork. Print could mean the product of a printmaking process, such as intaglio, serigraph, stone lithograph or relief among others. 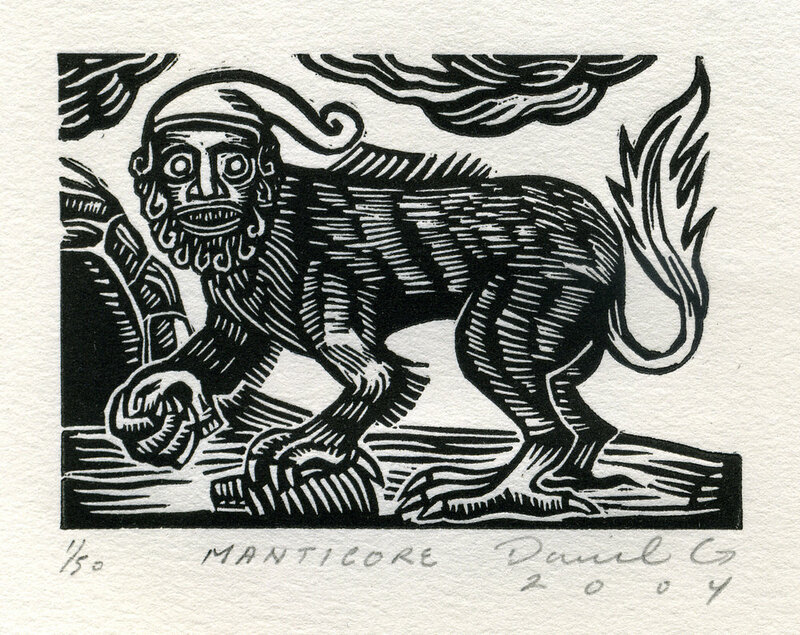 Printmakers usually produce an original artwork that they create with their hands. These are the prints that I will be discussing in this article. Notice the number label on the lower left, followed by the title and the artist signature. I choose to date the prints below my signature in order to better keep track of them. When the printmaker signs and numbers a series of prints, that is a number of reproductions of some form from a single design, they are guaranteeing that each print made is exactly like the rest in quality and that only that number that appears on the print are the only in existence. Before even signing and numbering, the printmaker has to go through the edition and destroy the prints that have irregularities. The standard is to sign the print at the bottom right hand corner below the impression, the edition number on the bottom left hand corner and the title, if any, in the center. If your print extends to the edge of the paper and doesn’t allow for a signature, you use the same standard but in the back of the print, or the verso. This is always done with a sharp pencil to avoid fraud. It’s much easier to print an ink signature than a pencil. I recommend using a sharp 2H pencil always rather than a regular #2 pencil. Make a mark on a piece of paper using a #2 pencil and rub your finger over it and try the same with a 2H pencil and you will see why. Notice the label P/P on the lower left of the print followed by the artist signature on the lower extreme right. This particular print has no title. On the left hand lower corner of the impression is where you should place your edition number. These are two numbers that are divided by a slash and look like a fraction. The number below the slash is the size of the edition or how many prints are in the series and the upper number is the number assigned. So for example, if you have 25 identical prints and ready for numbering, you would number them 1/25 and the next 2/25 and so on. A/P., P.A.,or E.A. (Artist Proof, Prueba de Artista or Epreuve d’artist) - If the artist is creating an edition for a dealer, the artist is able to keep a few prints for personal use from the edition. These are part of the edition and are kept to the same standard but are labeled A/P for Artist Proof, or more traditionally E.A. which is the French equivalent. The standard is to only have 10% of your edition be made up of these kinds of prints. P/P, P.I. or E.I. (Printer’s Proof, Prueba de Impresor or Epreuve d’imprimeur) - These are proofs that the printmaker keeps, usually only one. B.A.T. (Bon à Tirer) or R.T.P (Ready To Print) - A print signed with this mark (French for “good to pull”) means that this is the first print in the edition that meets the standards of the artist or printmaker and is used to measure the quality of the rest. These prints usually are the property of the studio that produced them. T/P (Trial Proof) - These prints are made during the process of adjusting and developing the image. Even though technically they are unfinished prints, in the art market they are worth much more than the regularly editioned work because they reveal the process of the artist in creating the finished work. S/P (State Proof) - This mark designates the print as a working proof and as being further worked on after the edition was created. Sometimes etchings will be assigned this mark as the printmaker experiments with acid exposure to the plate creating darker lines or variations in the design. H.C. (Hors Commerce) - French for “For Commercial Use”, these prints are sometimes unsigned by the artist and used to promote the edition and are supposedly not to be sold. C/P (Cancellation Print) - After the edition has been printed, some artists and printmakers alter the original plate, block or stone so that it cannot be reprinted again. Usually a line is drawn on the matrix across and then a print made as proof that the original has been changed and no more prints from it can be made. M.P or M.T. (Monoprint or Monotype) - This is reserved for unique prints most commonly using serigraphic process or flat plates of non-porous material where the artist and/or printmaker draw a design and only one print can be pulled from it. U/P (Unique Print), U/S (Unique State), V/E (Variable Edition) - Prints labeled with these marks have some kind of unique feature that can’t be reproduced again. 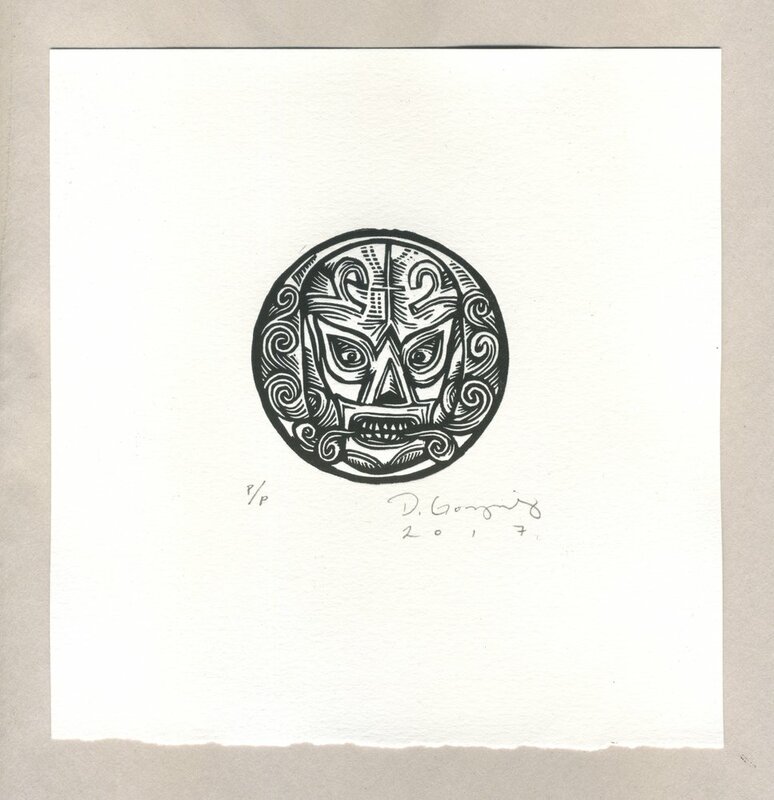 These kind of prints as well as, monoprints and monotypes may be labeled as 1/1 (edition of 1). Imp. - Abbreviation for the Latin word “impressit”, this mark may be found after the signature if the artist printed their own work. H.M.P, H.P.M or H.M.M. (Hand Modified Print, Hand Painted Print or Hand Modified Multiple) - Sometimes artists add features to a print by hand after the edition is created. These are most commonly found in serigraph prints. E.V. (Edition Varied) - Editions made on different paper or with printed with a different color ink are sometimes labeled with this mark. Some artists and printmakers choose to number these prints with Roman numerals instead of Arabic numerals Eg. I/X - X/X. This by all means is not the definitive guide. There are other marks and labels that are used in countries with different standards. Feel free to share any that you don't see on the list by commenting below.